“Watch for this guy! He’s gonna be big!”… Definitely… Waiting for Steelheart to update on my Kindle…. He is by far the most creative fantasy world-builder / magic system creator I have read in a long time… Just wish he would stop completing other peoples books and do his own thing for a while… Bring on Stormlight Archive number 2….. He also has plenty of advice for budding writers like myself.. Well worth the praise…. Thanks, Brandon. I *do* think of you as that Epic Fantasy guy, so when you break that mold (with Steelheart, or the Alcatraz books, or The Emperor’s Soul), I get surprised, again and again. Thank you, Mr. Sanderson. This is what separates the men from the dudebros. Haven’t read his stuff. Now looking forward to doing so. The Big Idea has done it’s job. I live to serve you, Lord Sanderson! Steelheart is unforgettably awesome!!!! Now that I’ve had my Sanderson fix, I can go back to obsessively waiting for Words of Radiance (the cover art of which is my computers awesomekickass wallpaper). Fall 2014 is too lonk! I’m about 1/4 of the way through Steelheart and it’s incredibly engaging. Tons of action as Brandon says, but also very enjoyable characters. Have really enjoyed everything I have read by him. I put this on my TBR pile. Although I have to admit I am still waiting to find out what happens to the Smedrys? And congratulations for the Hugo for Writing Excuses. I find the advice very useful. Blowing cars up is a bit harsh. I’d settle for a disintegrator cannon that left the occupants sitting on the seat fabric in the middle of a cloud of metallic dust. Funny thing, Audible were sending me emails about this guy. They weren’t as persuasive as this interview. Adding to wish list…. This turned up yesterday in this week’s review mailbag. Looking forward to seeing what it’s all about. Saw this book in your recent post and read up on it. Thanks for profiling Brandon Sanderson. It is fascinating to get insight into the writer’s thoughts and personality. I enjoyed his completion of Robert Jordan’s life work- a gift of Eye of the World turned me on to fantasy. I followed along with Mistborn and liked The Way of Kings (second half more than the first). I’ll have to give this a try. Brandon Sanderson is the guest of honor at Balticon next year (Memorial Day Weekend). Anyhow, something to chew over. Thanks. This interview is just pushing Steelheart to the top of the to read list! Just grabbed Steelheart from Audible. Looking forward to devouring it. This book appeared on my Kindle Tuesday morning – I’d preordered it – and I was done with it by Wednesday late afternoon, because I more or less couldn’t put it down. I’m about one hundred pages into this book an am loving it so far. He is one of the few authors that I have liked everything that I have read. Which I’m pretty sure is everything that he has had published. Can’t wait to catch him on tour next weekend. Big? He’s the Clifford the Big Red Dog of SF/Fantasy. I’m halfway through Steelheart, and loving it so far. I love all the little nuances of the world. This is in stark contrast to some of the blander books I’ve been reading lately. Interesting. I look forward to reading it! Lord Sanderson need not walk among the mortals, yet gifts us his glorious tales. I have a custom-built, super-reinforced bookcase for his works, but am lately concerned that the floor will need reinforcing as well. I went to buy it, and there are two different covers. Is there any other difference? I just finished reading Sanderson’s truly excellent YA “Rithmatist”, I’ll definitely check this out. Probably only that our collections will be incomplete if we don’t have both. Our Lord has a dark side. I started AND finished Steelheart today sitting in LAX, waiting for a connecting flight. Dammit, this book was supposed to last me through the next flight, but it was too good to put down. Coming up all the different Epics and their power’s and weaknesses must have been a blast. Holy cow, how many Brandon Sandersons are there? Isn’t there another one writing a 100,000 page epic fantasy series? Surely he’s not the same one that is writing five YA books a year. Sanderson is an author whose books I enjoy no matter what genre, no matter what barrier to entry (he mentioned in a world-building seminar the difference between Mistborn being a gentle slope, and The Way of Kings being a towering wall of death), and I think it’s especially true because he writes about people. The worlds are incredible, but they’re also thought-out from how everything affects people, and how people affect everything. His characters are so very easy to relate to, empathize with, and cheer for. 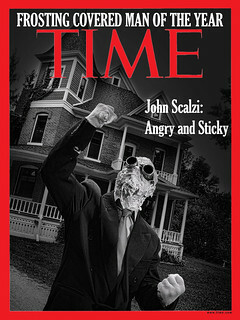 He’s also a very engaging speaker, I’ve had the pleasure of attending several writer’s panels at Gencon with him. Quite honestly? He also made me love Wheel of Time again, something I wouldn’t have told you was possible a decade ago. 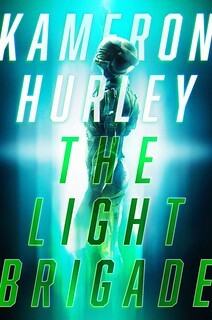 I really hope folks pick up his work, especially YA readers, because he is an awesome gateway writer and it’s really easy to get people addicted to his entire backlist. Is one hard cover and one paperback? I received my signed copy a day or so ago but haven’t had a chance to pick it up yet. So I picked up the kindle copy yesterday since I’m patience impaired (plus I don’t have to worry about messing up the signed copy). Finished it today. Cool treatment of the superhero premise. I like Brandon’s very subtly telegraphed plot twists that have a real nice touch of ambiguity so that you know somethings gonna happen, but you’re not quite sure what. 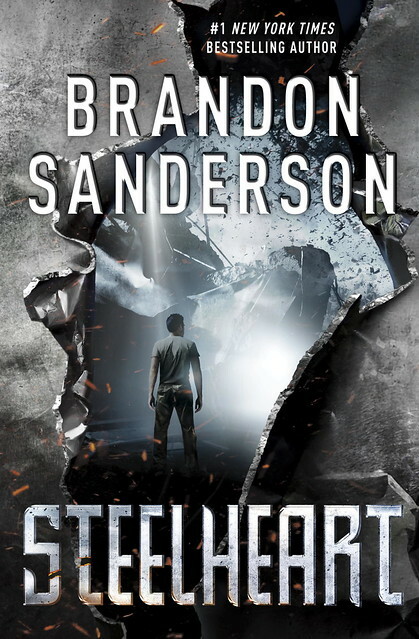 The Steelheart ebook is currently 50% off at Amazon and B&N. Sanderson is an author I respect. I’ve said this before; he’s not an author I wold rank up there as one of the most incredible authors in the world, but I give him heaps of respect. He’s done so much to encourage the next generation to write and write boldly. That’s all he seems to do. Again, I honestly don’t think his skill in the craft is what it needs to be, but that’s my opinion. The point is he’s an incredible motivator and he leads by a wicked example. I don’t know, Your thoughts? How unusual; a spammer actually putting their contentless praise word salad on an active thread. I believe the two covers are the U.S. (hardcover only) and U.K. (hardcover and trade paperback) editions.